WIN-ning Wednesday: Popcorn = Toxic Treat? For many people, these questions don’t come up as they are preparing microwavable popcorn. It’s been a fast, convenient treat for a couple decades. Popcorn is supposed to be healthy, isn’t it? Microwave bags are coated with chemical substances to prevent the popcorn from sticking to the bag and prevent the bag from burning or catching fire. A chemical part of this inner coating that has received a red flag is Perfuorooctanoic Acid (PFOA). This is a chemical related to teflon, and is known as a “pervasive” chemical. A pervasive chemical is one that lingers in the body long after it’s exposure. It doesn’t get detoxified very well and can hang out for weeks, months or even years in our tissue. When something lingers in our tissues, this means it becomes part of, or held on to by, our cells. Our cells contain DNA. These are the types of chemicals that can affect DNA over time. Anything that messes with DNA has the potential to injure it, which can change a healthy cell into a cancer cell. Some researchers would argue that there is such a small exposure through microwavable popcorn, so there couldn’t possibly be a risk. However, microwave popcorn lovers take note, there are researchers who intensively study in the cutting edge field of Environmental Medicine who would say the opposite. Bill Chameides, dean of the Nicholas School of the Environment at Duke University, reports that exposure to PFOA has been linked to cancer and other health risks. Eating as little as one bag of microwave popcorn a week gives you enough PFOA that it shows up on blood tests, according to Chameides. Even if a person eats microwave popcorn occasionally, why does this matter? The modern day human is exposed to a variety of pervasive chemicals every day – don’t let me get going on Glade air fresheners and Febreeze!!! Over the course of months and years, we are exposed to countless amounts of chemicals through air, water and food. PFOA may be a drop in the bucket, but put enough drops together and we can get an rainstorm. The reality of our modern day environment is that it’s extremely polluted, and to protect my long term health I need to avoid burdening my body with chemicals that I can prevent being exposed to. Dupont, the creator of all things non-stick, is the company that provides the manufactures of microwavable popcorn the chemicals to create the non-stick coating for their bags. They have agreed to remove PFOA from their non-stick recipe by 2015! Which means, we have a few years to go before it’s gone, and more than a boat load of popcorn will be eaten by people before that time. PFOA is also used to make Teflon and other stain-and stick-resistant materials including pizza boxes. In June 2005, a scientific advisory panel to the U.S. Environmental Protection Agency (EPA) identified PFOA as a “likely carcinogen” but drew no conclusions as to whether products made with it pose a cancer risk to humans. However, animal studies have identified four types of tumors in rats and mice exposed to PFOA. 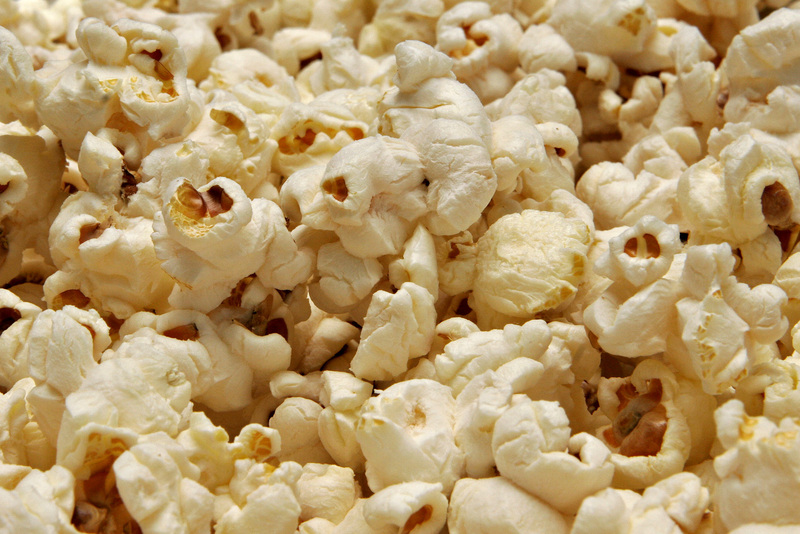 Better known as, bronchiolitis obliterans, “pop corn lung” has affected people who regularly inhaled the aroma of the synthetic butter flavour. Diacetyl is one of those pesky chemicals that you can’t see, and it doesn’t smell toxic (how could a buttery aroma be so bad? ), but it is toxic. Diacetyl was first linked to the development of bronchiolitis obliterans in those who worked at factories that made buttery flavouring agents. In September 2008, the first reported case of the respiratory illness in a popcorn consumer came to light. Diacetyl has been removed from the current artificial butter flavour, but there is STILL concern over the health impact of the ingredients for this flavouring agent. Hey, I’ve not yet found an “artificial” food ingredient that’s actually good for us, so this is understandable. *Special Note: my mom always used to make popcorn like this when I was young. Of course, once we got that new fancy microwave back in the early 90s, there came a time when I started nagging her to buy microwave popcorn and this old way of popping corn faded for our family. She was doing the right thing all along! And… I am grateful that she did make popcorn on the stove, because I know it is possible and it actually works out quite well! – Take a heavy bottom pot, like a soup pot. – Add 2 tbsp coconut oil. On low heat melt the oil until it coats the bottom of the pot. – Add 1/2 cup corn kernels. These can be purchased at the bulk food store and some grocery stores. – Turn stove heat to Medium and put the lid on the pot. – Gently shake the pot to help move the kernels around so they can all get popped. – Just like in the microwave, as the popping noises diminish, the kernels are nearly all popped. – Occasionally toward the end, lift lid and check popcorn is not burning. – Season with sea salt, other spices, or even consider sprinkling nutritional yeast over it for a buttery flavour. Nutritional yeast is different from leavening yeast for baking. You can find it at most health food stores and the bulk food store. These can be purchased at most stores. An air popper is a medium sized appliance that makes fresh pure pop corn from kernels using hot air. There has been some buzz in the media about a recent food related E.coli outbreak in Germany that has caused 2,200 people to become ill and 22 people have died. What’s also concerning is that the food in question is bean sprouts grown at an organic farm. This is a really sad situation for the people affected by this, and certainly puts a lot of scrutiny on organic produce. Since I’ve been recently posting about organic produce, I thought I’d continue with today’s post. Especially in light of this recent event and to help give some further guidance on organic produce. My flag certainly went up when I heard a local radio station reporting that the cause of the outbreak was an organic vegetable! After reading a bit more about how the sprouts were grown I began to wonder just exactly how this contamination occured. Reports are stating the sprouts were grown in large drums under a steam process that includes heat to help germinate the sprout seeds. Unfortunately, this process could have created an opportunity for bacteria to grow. The farm accused of the contamination is on the defence, stating that they do not use fertilizers in their growing process, nor do they have any animals (often a carrier or main source of e. coli) on the farm or use manure in their farming. We have to remember that the laws and auditing of Organic Farms may not be as rigorous as we could hope. In Europe, Asia and even in North America, standards are in the process of being created and not all Organic Farms are created equal. Also, vegetables and fruit are “manufactured” after they are picked. They are handled by workers, packaged, travel, etc. At any point during this “processing” they can become contaminated. So far, the import of any suspected contaminated food from Germany has been halted. Since this report, people are once again unsure if they should eat organic food. Dr. Mercola wrote a fantastic article addressing the importance of continuing to buy good quality, nutrient rich foods, rather than avoid it due to fear. He gives some helpful tips around washing vegetables and fruit to help reduce any organisms on the food. *I would add: When washing produce a capful of raw apple cider vinegar or a drop of grapefruit seed extract concentrate can be added to the water. Both have very significant antimicrobial action, and are food based, so they are safe to use. Also, Dr. Mercola points out that it is often the FARMING PROCESS that opens the door for contamination to occur. It’s not necessarily the GROWING PROCESS but what happens AFTER a fruit or vegetable is grown. There are many steps that he lists in the modern day manufacturing of produce as it is handled, prepared, packaged, leaves the farm and is shipped out for consumer use. This underscores the importance of growing your own or buying (as often as possible) locally grown produce. If it’s organic, it’s a bonus! I remember I took my first class when I was in university, and my instructor taught us classic hatha yoga. I was looking for a way to deal with stress. 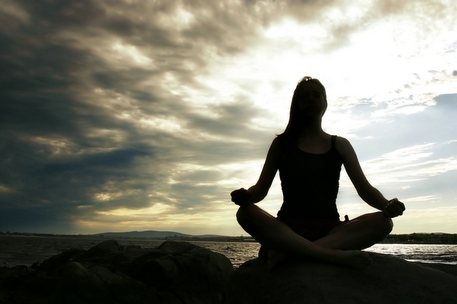 I didn’t know anything about yoga, but something drew me to it. I didn’t have a yoga mat. Some postures left me a bit taken aback (“… I have to do what…?”) And as an exhausted student I always fell asleep during final meditation. I felt great after we were done. My senses were heightened. I felt calmer and happier. My mind was clearer. Later, as I studied yoga, I realized how it worked on the physical aspect of muscle tone and flexibility, and also I was surprised to find out its deeper influence on internal organ health, brain function, self awareness and spirituality. This is all well known now, and I’m happy to see such an understanding of the benefits of yoga in the mainstream. I’m definitely of the more “simplistic” yoga camp. Probably because of my own yoga training. Likely because I prefer simplicity in many aspects of my life. I know that props, blocks, pillows, blankets, bolsters, straps, etc., have a place in some classes and can be helpful for many people. I most enjoy yoga that just involves a mat. I find I can focus more on the yoga. If my body is telling me that it’s not ready for a certain posture, I do what I can, rest if needed, and move on to the next posture when it’s time. With just a mat, or a calm quite space to be in, there are so many great ways to put yoga in the day. I can take a class when time allows it. I also have some great DVDs at home. Rodney Yee is one of my favorite instructors, but there are so many instructors out there on DVD, offering a variety of approaches to the practice. Also, I get inspiration for one or two postures that my body might need on a particular day from the Yoga Journal website. The Yoga Journal is one of the longest running magazines about yoga and their website has a great index of postures. Just taking a moment to notice my breathing. Full breath in, full breath out. Exhale tension, inhale oxygen, positivity. As the season of Spring rolls in, so does the desire to clean, clear out, de-clutter and freshen up. All the fresh flowers sprouting up, grass turning green, buds on the trees and warm weather is so renewing. Naturally, many people I visit with at this time of year are ready to dust off the winter blahs and get refreshed for Spring and Summer. This is a great time of year to go with that trend for internal health. I’ve never been a big fan of the “detox in a box” or a bunch of cleansing pills for that matter. I know that spring cleaning for our bodies can be more balanced, healthy and practical. Just by using fresh food, water, movement, restorative time and good sleep, our bodies have the capacity to initiate the cleansing process. Then, if there is an organ system that specifically needs support, which is different for everyone, that can be worked on in an individualized way. 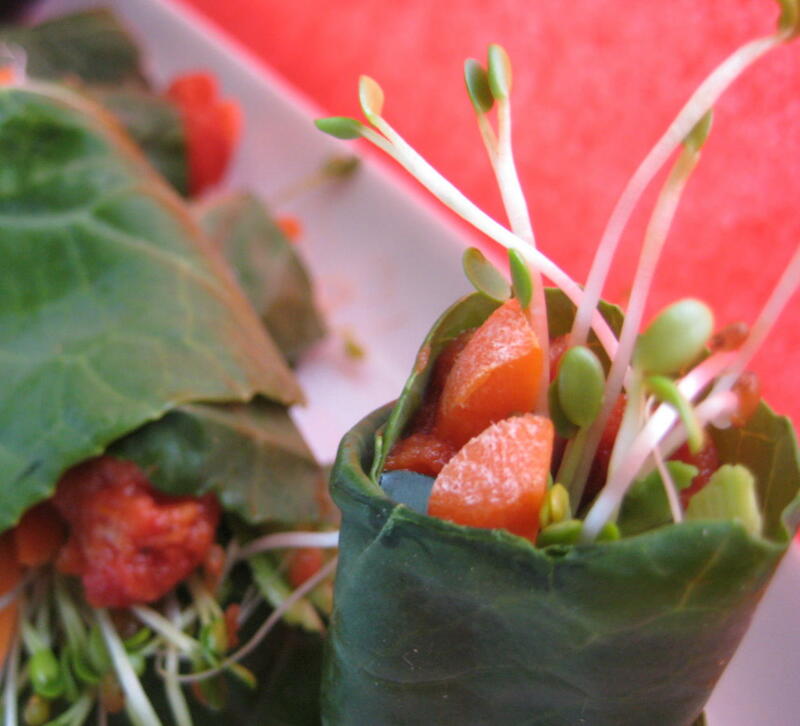 The Liver is such a powerhouse detox organ for the body. It does its huge job 365 days a year, not just during the times we feel like cleansing. 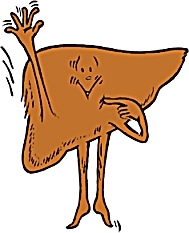 It’s important to take care of our Liver… think of it from time to time… go easy on it… do things it likes. Sure, Spring is a good time to detox, but the little things we do each day to support our liver will take us a long way. What does our Liver love? – HAPPINESS: Letting go of anger & resentment. In Asian medicine (Traditional Chinese Medicine & Ayurvedic Medicine) these emotions are considered to be very damaging to the liver.